Central Vermont premier home inspection experience, with over 55 years experience in the construction field, Jim Breer is able to see things that most classroom inspectors do not see. Better Home Inspections delivers easy to understand reports with color photos and easy to read summaries. Reports are delivered over the Internet to anywhere in the world within 24 hours. We are available late days and on Saturdays. We’ve even done inspections on Sundays and holidays. We use Home Gauge inspection software to generate a professional report with a password protected link for secure viewing. Our reports can be sent to you anywhere in the world! Jim spent 10 months in Texas as an intern with the most prestigious home inspection companies in Fort Worth Texas before becoming licensed in Texas. Jim Breer has been a member in good standing with the American Society of Home Inspectors (ASHI) since 1998. 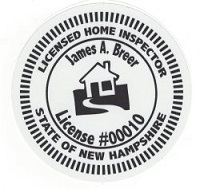 Jim became a New Hampshire licensed home inspector in September 2009. 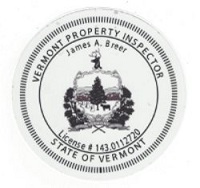 Jim became a Vermont licensed property inspector in June 2015. Rosemary, Jim’s wife of 50 years, and Jim are both natives of Central Vermont. They have two sons and now have two wonderful granddaughters. Jim has grown up in construction and his construction career started over 49 years ago. He was the Vice President of a large commercial construction company and vice President of a building specialty coating company, both located in Vermont. Rosemary & Jim have operated J. & R. Builders, Inc., a complete building project company, since 1987. Jim’s experience allows him to use his skills wisely and offers him the special ability to find problems. Better Home Inspections was started in 1997. The number of inspections and the continuing education that Jim has completed has improved Jim’s ability to discover problems, based on the sheer number and variety of inspections he’s satisfactorily performed. Better Home Inspections proudly offers services to All of Vermont and Western New Hampshire. Our fees do not change from Barre, Vermont to Brattleboro, Vermont. We do not add travel time to our fees.